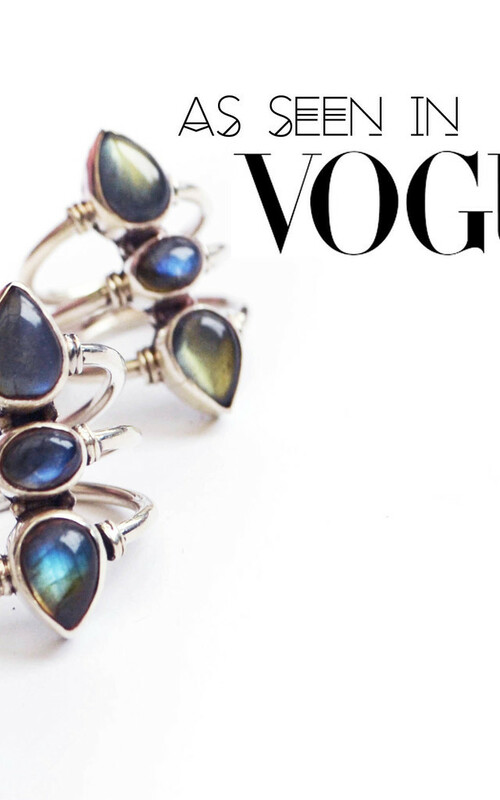 AS SEEN IN FEB'16 VOGUE! BACK IN STOCK! The name Agneta translated in Greek as 'treasured stone'. 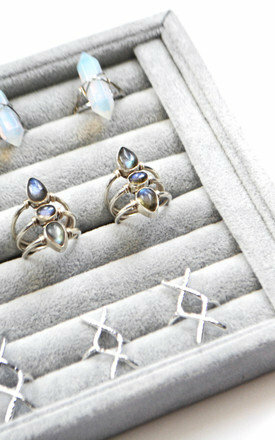 Labradorite legend tells that the stone fell from the frozen fire of the aurora borealis. 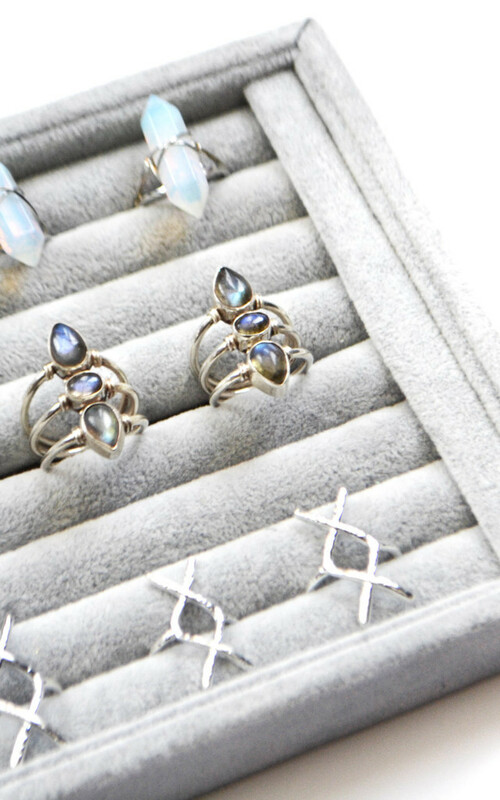 Each stone glows mystically and is recognised as a shielding force throughout the aura ++ for awakening the spirit. 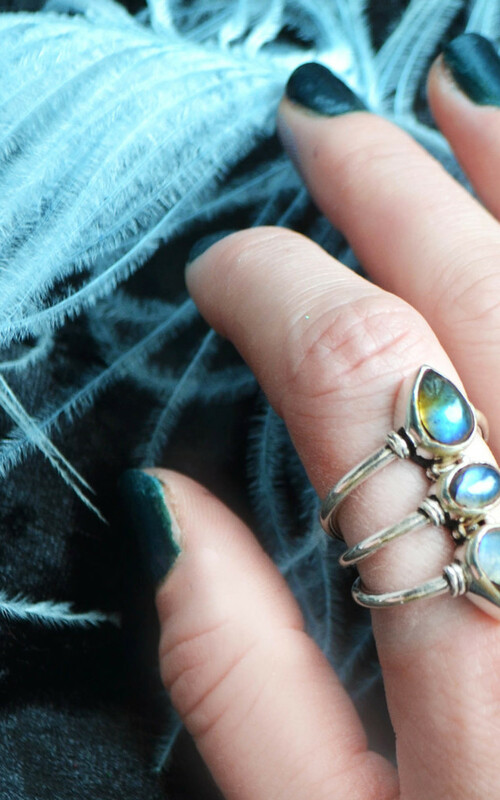 These statement wonders make stunning thumb rings! 925 hallmarked. Size 6,5 (MEDIUM) More sizes available from our website.